PLUS SIZE! 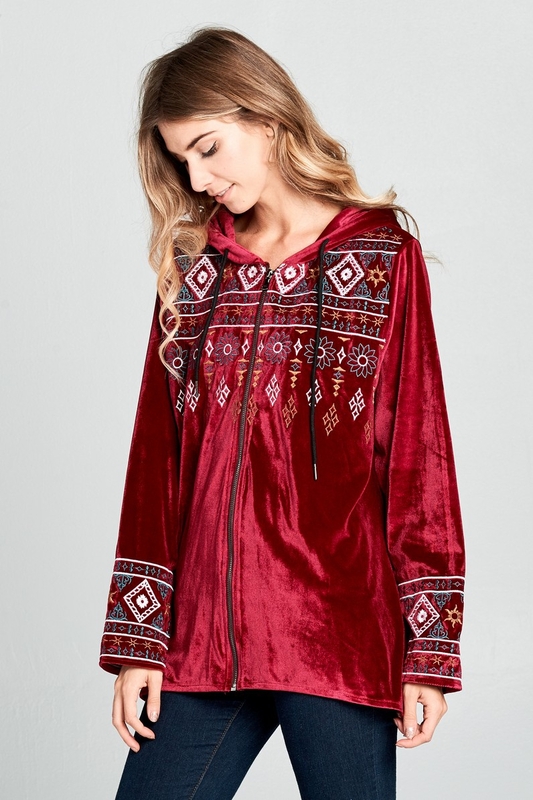 Velvet jacket with beautiful intricate embroidery (includes zipper-front and hoodie). Model is 5`8 wearing size small.